How much does BT Cloud Voice cost? 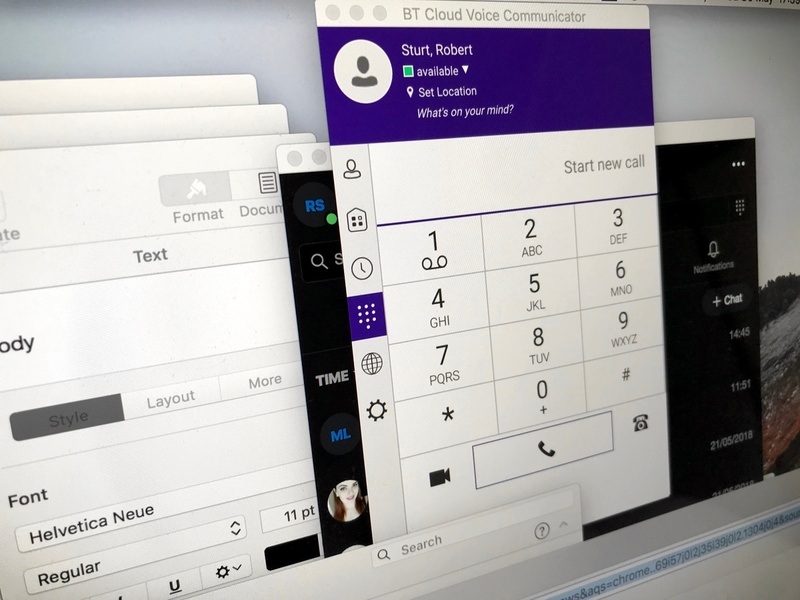 What are the latest costs and offers for BT Cloud Voice Basic, Connect and Collaborate licences with call plans and handsets? The Network Union are conducting The BT Cloud Voice webinar, free and available every 2 weeks. An opportunity to see the Cloud Voice portal, the licence options, the PC/Mac application and more in the comfort of your own office. To receive an invite for the next session, click here to register your interest. We are seeing significant growth of the BT Cloud Voice via our telecoms buying practice with standard discounts of up to 15 licences. Anything above 15 is subject to review by our BT Cloud Voice sales expert based on requirements. In either respect, the pricing is competitive with the IP telephony marketplace. The handset, licence and call package covers the overall spend for your service. With all installations of BT Cloud Voice, a Broadband service of Ethernet leased line will be required. BTNet Ethernet leased lines begin at around £250-£300 and rise depending on your distance from the local BT PoP (Point of Presence). A switch and LAN cabling are a pre-requisite of Cloud Voice unless you are plugging handsets directly into your router/business hub. If required, BT will install all cabling and offer a switch to support your service. Depending on your requirements, BT financing is also available across hardware and any switch or cabling installation. * Existing BT Broadband/Fibre/BTNet may be used. Once installed, the service will function over any public Internet connection. What about migration from ISDN to Cloud Voice? Our team have assisted several businesses to make the migration from BT ISDN-2 and ISDN-30 to BT Cloud Voice. The main issue often surrounds early termination charges of the ISDN service where customers are in a term for both the circuits and call spend. While we are not able to make any guarantees, BT finance has waived a number of early contract terms for customers making the move to the cloud. A colour mid-range phone. Designed for SOHO, call centre, cubicle, office desk. Dual-port 10/100 /1000M Ethernet. High-end IP phone with 4.5 ̋ colour touch screen, loudspeaker and headset port. Dual-port Gigabit Ethernet. A basic level IP desk phone with 15 programmable keys, loudspeaker and ports for both a headset and PC. Dual-port 10/100M Ethernet. A mid-level IP desk phone with 4.5 ̋ colour screen, 27 programmable keys, loudspeaker and ports for both a headset and PC. Dual-port Gigabit Ethernet. A high-end IP desk phone with 7 ̋ colour touchscreen display, 29 programmable keys, loudspeaker and ports for both a headset and PC. Dual-port Gigabit Ethernet. Buy BT Cloud Voice via The Network Union and access discounted pricing and offers across all services. Held every two weeks, Robert Sturt will walk you through the portal, licence features, calling packages and the latest offiers. The sessions are totally free, an invaluable way to make a more informed decision on your BT Cloud Voice service. Where your opportunities exceed 15 licences, we are available to perform workshops at your office in a face to face environment. Check low cost EFM (Ethernet First Mile) availability for your Cloud Voice service. View the latest BT Business Broadband offers via the Partner channel. What do you need to know prior to ordering? Firstly, as a Partner of BT, we place all of your orders directly via BT ordering systems. We are not reselling services, you will receive a BT contract, BT support and BT billing. The end service is no different vs. ordering directly via alternative BT sales teams (i.e. Local Business). The Network Union manage your BT account on an ongoing basis supported by a dedicated BT team. A free handset up to £154. We recommend the Polycom VVX411 Gigabit IP Handset. A colour mid-range phoned designed for SOHO, call centre, cubicle, office desk. Complete with Dual-port 10/100 /1000M Ethernet. Note that all handsets must be supplied by BT, companies cannot use 3rd party hardware. Online Portal - access control of your Cloud Voice users and functions via a single portal available anywhere with Internet access. Hunt Group - allows multiple handsets/phones to ring when a single number is called, great for a sales team number. Automatic Call routing - send calls elsewhere when you are not available to another handset/phone. Call transfer - move calls around internally or to an external number when required. Three-way calling - easily add a third person to your conversation. Call director - ensures your DDI/line ID is presented no matter where you are calling from. Voicemail - straight to your inbox via an MP3 file. An extra £3 provides the addition of collaboration (Collaborate licence) where your users are able to invite external parties into a conference bridge with desktop sharing. How do Unlimited calls work? The unlimited call package is simplistic to understand with all-inclusive calls made to mobile and landlines included. Customers must choose from either the UK OR an international package - if you don’t make many international calls the “Pay As You Go” international option is the default choice. Pence per minute options are also available for UK calls for larger opportunities subject to business criteria being met. UK Inland Calls are defined as 01, 02, 03, 05 (where charged at G21 rates) and calls to fixed destinations in the Republic of Ireland. UK Fixed to Mobile calls which covers all charge bands. What other licences are available? In addition to the Connect licence which occupies the middle ground, BT also offer the Basic and Collaborate licences. Basic removes Call Director and Voicemail to MP3, Collaborate introduces UC Business (with softphone, messaging, video calls, audio and video conferencing).